City Architecture Office have secured planning consent for an apartment building in South Woodford, London Borough of Redbridge. 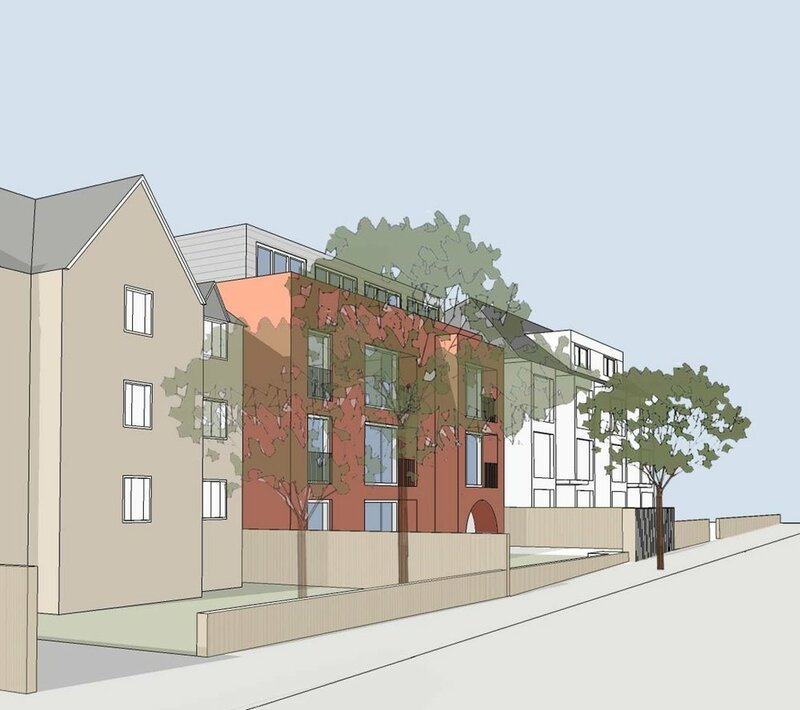 By communicating the townscape merit of a new façade & additional mass to the local authority planning team we were able to double the expected development potential of the building. The consent for eleven residential apartments refurbishes & extends an existing building in a residential area of South Woodford. The building has been under family ownership for twenty years. Initial planning concerns over loss of amenity & highways access were also overcome, producing a consent for new good quality homes on a previously underdeveloped site.